Being mommy of two kids I run out of lunch box ideas many times. Generally, I make sure to give a different menu for all 5 weekdays. But if the menu gets repeated in following week then also complains start pouring from both of them. What to make new every time is star question for mothers. I am always in search of new ideas for lunch box. Many time my mother helps me and I get many ideas from fellow mommies, friends.Now today morning itself the elder one has declared that she wants to eat something different and not interested in eating regular lunch box. So for Friday lunch box, I made this small potato & paneer patties / Tikki. I packed vegetable pulao in one box and potato & paneer patties for her snacks box. It worked perfectly for me as she was very happy to see the different menu in her lunch box. I added grated paneer/ cottage cheese while making this potato patty and it tasted superb. So for more proteins add grated paneer or tofu while making this ticket. Aloo paneer tikka is made using boiled potato and cottage cheese, but you can add grated carrot or green peas as well. It can be deep fried but I prefer shallow frying Tikki on low flame. 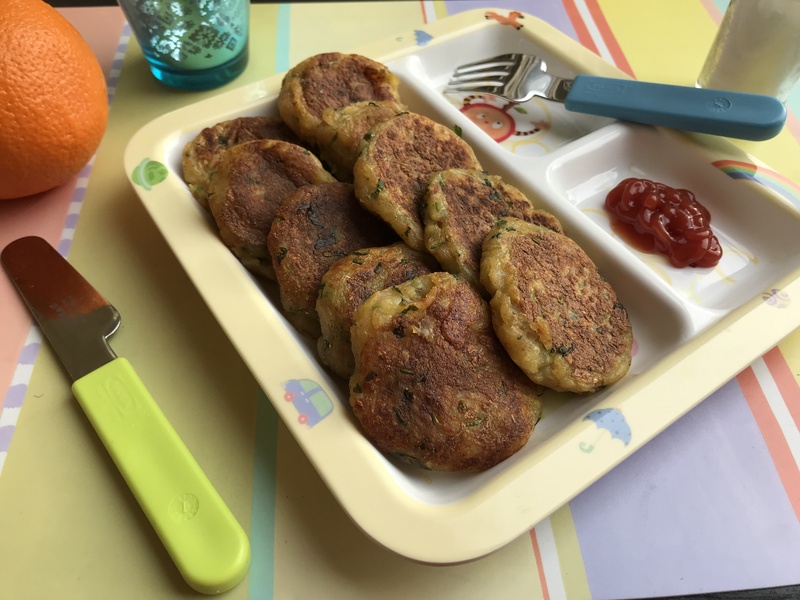 Try making these potato & paneer patties and let us know feedbacks in the comments section. Potato and cottage cheese patties are snacks or starter dish. Wash and boil potatoes in Pressure cooker for 3-4 whistles. After cooling peel covers of potatoes and mash them. Keep it aside. Grate paneer cubes using grater and keep it aside. In a big bowl mix mashed potatoes ,Grated paneer ,chopped coriander and corn flour. Sprinkle chat masala ,salt, cumin powder on mixture and mix all ingredients well. Take small pieces of above mixture and make circular shaped balls from it. Heat non-stick pan and pour 1 tb spoon of oil in it. Shallow fry on other side as well till Potato paneer patties turn golden brown. Serve Potato and paneer patties with ketchup.